Are you interested in transitioning to online marketing, but you have a small budget? Google has an advertising platform for companies that want to market online, and it is called AdWords. This platform allows businesses and marketers to create an ad and place it in front of potential customers and clients. An account can be created for the nominal fee of $5. This platform is based on the PPC (pay per click) model. This means that you will only be charged when someone clicks on one of your ads. However, it can be difficult to compete with companies that appear to have unlimited budgets. So, what do you do if you have only $100 or less to spend on online advertising every month? The main objective to keep in mind when you have a small budget for online marketing is to create a campaign that is very narrow so you target only those who are in your niche. Although having a targeted campaign will reduce the amount of people who will see the ad, you will also make the most sales possible at the lowest cost. There are several other tips to consider that will help you make the most of your small budget. Branded keywords are very cost effective and they also have the highest conversion rates of any other types of keywords. If you have a small budget for advertising, you should only place adverts in Google Search. 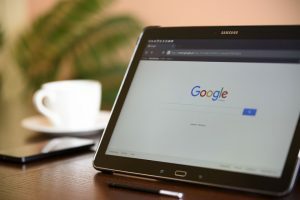 Even though the Google Display Network and Google Search Partner can provide you with some leads, they will probably be less efficient and less qualified than the ones you acquire through Google Search. Therefore, you will want to begin your marketing campaign with Google Search. This is a feature option that allows you to only show your ads on certain days or at certain times. If your business operates from 8am to 6pm, you may want to turn the advertising off when your business is closed. There are also more advanced ways to use this feature such as only showing ads during peak hours and stopping ads during the slower hours of your business day. For those days or hours that are slow, you may want to offer a coupon code or discount for those specific hours to increase business. Google gives advertisers the opportunity to show their PPC ads in a certain location. Only users who are in that location will be able to view the ad. This means that you can target your ads to be shown in a certain city, state or even zip code. Some advertisers geo target ads within a few miles of the business. Google AdWords is an excellent way to see how successful your ad campaign can be on Google. You can increase business and also increase sales. Use these tips, start with a $5 budget, and watch the leads and sales roll in. « What is Google Tag Manager and How Does It Work?